APOmar al-Shishani appears in this image made from an undated video posted on an ISIS social media account in late June. 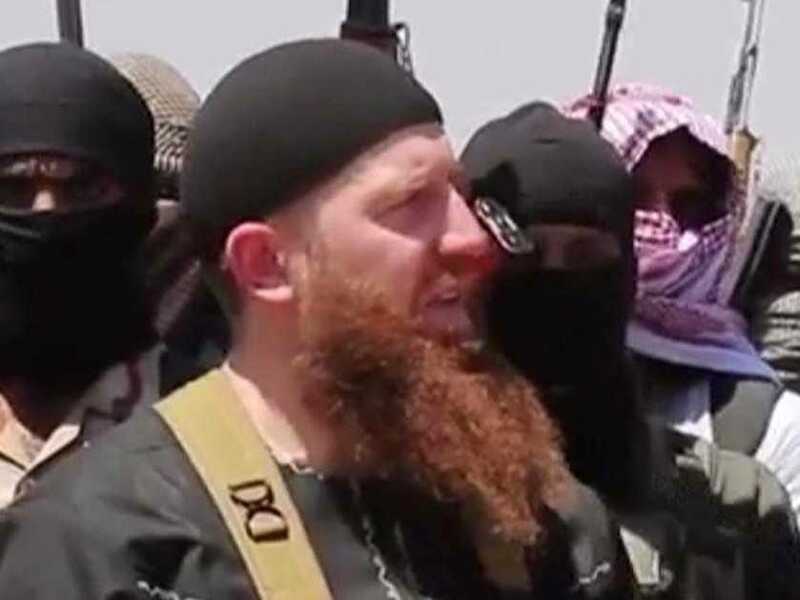 Omar al-Shishani, the red-bearded Georgian ex-commando, is the most recognisable ISIS leader below Abu Bakr al-Baghdadi. It was Shishani who posed with the stolen US Humvees taken from Mosul and brought into Syria to reinforce ISIS’s advances in the west. Shishani is also credited with leading ISIS’s successful operations against Iraqi Security Forces in Anbar province, putting the group within striking distance of Baghdad. Yet, according to Will Cathcart, Cazha Tavberidze, and Nino Burchuladze of The Daily Beast, Shishani is a figurehead. They claim that the Georgian, named Tarkhan Batirashvili at birth, is the charismatic face for the real brains behind some of ISIS’s more effective battlefield operations: His older brother, Tamaz Batirashvili. If this is true, it explains why, unlike the rest of the top ISIS commanders, Tarkhan allows himself to be photographed extensively. They are creating the illusion that he is the “head of snake” — while the real architect of ISIS’s Syria operation, Tamaz Batirashvili, remains in the shadows. This preference for avoiding the spotlight mirrors the two brothers’ shared history. Meanwhile, Shishani’s brother fought on the front lines against the Russians in Chechnya as part of the growing jihadist movement the separatist republic. Tamaz’s battlefield resume made him of particular interest to the Georgian military, a small force always in need of experienced soldiers. Shishani’s military style could reflect his brother’s experience fighting for an insurgency. Whereas other ISIS commanders fight in a more standard way through wave attacks or frontal assaults, Shishani “is fighting like an insurgent. He’s using a complex style in Anbar, relying on a very small force,” according to Daveed Gartenstein-Ross, a senior fellow at the Foundation for Defence of Democracies. If Shishani is merely a charismatic front for his tactically brilliant brother, it highlights the difficulty US and coalition forces may have in tracking down the ISIS leadership. Little is publicly known about either Tamaz or Shisani. And perhaps even less is known about Baghdadi, the leader of ISIS’s self-declared Caliphate. One of ISIS’s top leader has already managed to evade capture despite being one of Iraq’s most wel-known fugitives for more than a decade. It’s believed that one of the premier military commanders in ISIS is Izzat Ibrahim al-Douri, Saddam Hussein’s former deputy and one of the most wanted men in Iraq. Al-Douri has effectively evaded US-led efforts to capture him since 2003. If Shishani is merely a front for the real tactical commander within ISIS, the coalition faces a serious hurdle in identifying, let alone capturing or killing, the group’s leadership.